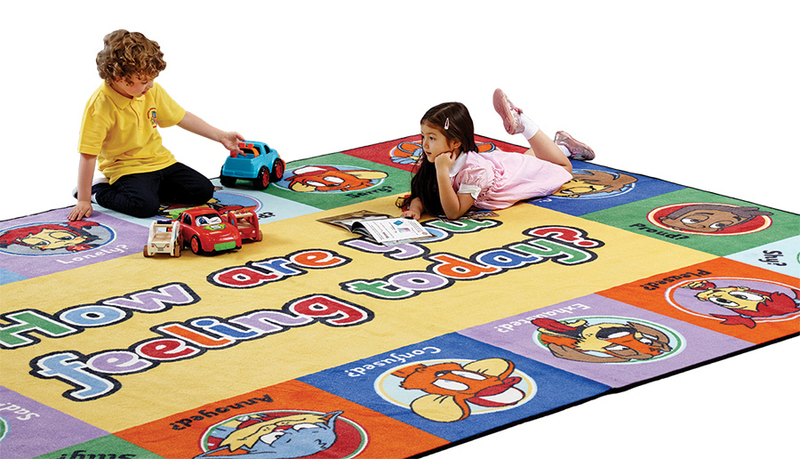 Our bright and colourful emotions classroom rug is ideal for schools, pre-schools and nurseries and has been designed to encourage group interaction and learning. From happy and excited, to shy and worried, this colourful classroom carpet illustrates a range of feelings which children can familiarise themselves with. A fun way to encourage emotional expressions and recognition. The cut pile classroom carpet benefits from triple felt backing, double stitching and features a locked in anti-microbial feature for improved durability and cleanliness.